88 Films, over the course of 2013, have become a veritable repository for questionable cinema. Regular readers will know that, coming from me, that’s a compliment. 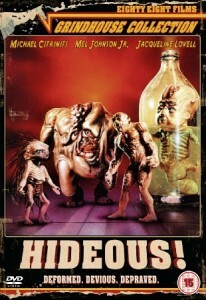 HIDEOUS, coming as part of 88 Films Grindhouse series, is a perfect example of what made Full moon great for those, like me, who love that kind of thing. We open in a sewage plant where a mutant baby is fished out and sold to a dealer in ‘biological oddities’. When the eventual buyer of the specimen is robbed at gunpoint by a woman wearing nothing but black hot pants, Doc Marten boots and a rubber gorilla mask, a clash between the dealer’s main clients ensues. Said clash is further complicated when the collection of mutated specimens turn out to not be as dead as everyone assumed. At which point I either have your wallet’s attention or I don’t. 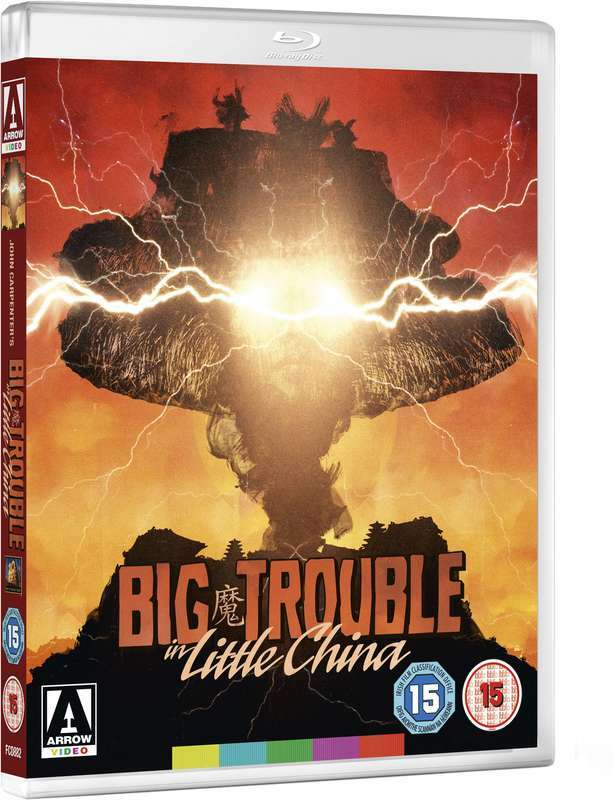 The disc comes with an audio-commentary from Michael Citriniti and Mel Johnson Jr. (the movie’s rival collectors), one of Full Moon’s regular Videozone features covering the making of the movie, a selection of trailers and a reversible sleeve. For the obsessive compulsive trash fans amongst you (of which I am sadly one) the Grindhouse collection comes numbered and in their own, distinctive red cases.